For three generations, the Popkin family has nurtured the original vision of Blue Star’s founders, Herman, Harry and Ben Popkin. Lauren Popkin Herschthal – Owner/Director, Following in the footsteps of her grandparents, Herman & Rosalie, and parents, Rodger and Candy, Lauren is a third generation Owner and Director at Blue Star and has over a decade of experience as a Camp Director and year-round staff member. She has spent almost every summer of her life at camp as a camper, counselor, Camp Leader, Director and now an Owner/Director. Lauren graduated from Florida State University with a BS in Anthropology and Sociology and later earned a Master’s Degree in Art Education from Pratt Institute in New York. While in New York, she taught art to underserved youth with special needs. Lauren brings a beautiful spirit along with a keen eye for detail to her life’s work. Seth Herschthal – Owner/Director, has always been a “camp guy” and actually grew up at a nearby summer camp, having spent over ten years as a camper, staff and leadership team member there. He has had a wide range of camp and education experiences having worked for many years as a middle school English teacher, advisor, and director in both the Dominican Republic and in Chapel Hill, North Carolina. He also has served on the American Camp Association’s Southeastern Board. Seth graduated from Duke University with a BA in Public Policy and earned a Master’s Degree in Education from the Harvard University Graduate School of Education’s School Leadership program. Seth has over a decade of Blue Star experience, including as a member of our summer leadership team, year-round and Director team. He has whole-heartedly embraced the role of Camp Director/Owner and brings a wealth of knowledge, enthusiasm and heart to his work at camp. Like Lauren’s parents, Lauren and Seth were married in the Elmore Solomon Chapel. 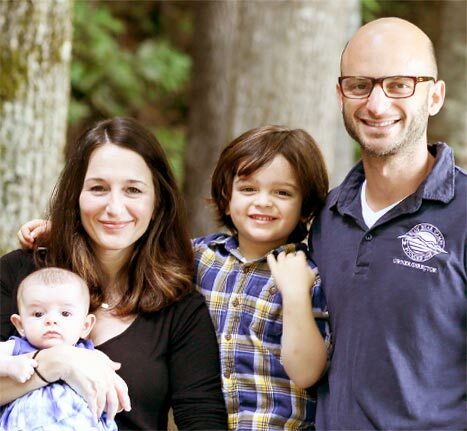 They have two beautiful children, Eli and Rose, who make the move to camp with them from Raleigh each summer to make the Blue Star Magic happen. Lauren loves art, travel, snorkeling and chocolate. She drinks too much coffee. Seth loves North Carolina, time with family, seeing live music and running around the New Lake at camp. He drinks espresso, in moderation. Both Lauren and Seth are grateful for the opportunity to positively impact the lives of children and staff through their camp experiences at Blue Star and are dedicated to continuing Blue Star’s legacy of being a camp with a purpose. 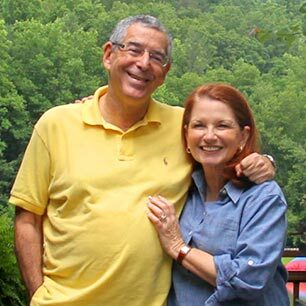 Rodger and Candy Popkin – Directors Emeritus, met while students at Boston University, and began their career as Camp Directors in 1971—the day after their marriage in Blue Star’s Elmore Solomon Chapel. They have both been active in the American Camp Association (ACA) for decades, and Rodger is a past National President. Rodger and Candy are the parents of Jason Popkin (long time Blue Star Owner/Director) and Blue Star’s current third generation Owners and Directors: Lauren and Lauren’s husband, Seth Herschthal. Ben Prosser – Director, began his career at Blue Star in 2002 as a Ropes Course specialist. From his home country of Australia, he brings an extensive knowledge of and background in all types of Outdoor Adventure activities, Emergency Response/Management and Conservation/Environmental Management. Ben has worked in and directed various camp programs and operational areas in his time on staff including Director of Camp Craft, Director of Outdoor Adventure Programs and Director of the Wilderness First Responder program. Ben also manages all camp operations including risk management, programming, food service, transportation, staff training, camp emergency response ensuring safety by means of prevention, as well as providing a high quality curriculum in accordance with health and safety standards. Ben has traveled to every continent except the arctic and has saved all boarding passes from each flight he has taken! Ben met his wife, Louise Hardman, at camp in the summer of 2006. Louise is the Director of the Equestrian program at Blue Star. Jillian Radetsky – Associate Director, started camp as a Junior and spent eight summers as a camper at Blue Star. She returned as a staff member and quickly became part of our summer leadership team, first as a Senior Girl Unit Leader and then as a Camp Leader, a position she held for six summers. Jillian has been a member of our year-round leadership team for the past six years and oversees staff recruitment, hiring, coordination and ongoing staff development. She oversees the Senior and Teen Village camps at Blue Star and is directly involved in working with campers, leadership staff and cabin counselors to provide the best camp experiences for the older camps. As Lauren and Seth’s second in command, Jillian assists and supports in all areas of camp life, including camper recruitment and parent communications. Jillian graduated from the University of Georgia with a Bachelors of Arts in Journalism. Jillian is a second generation camper. Her Dad attended Blue Star as a camper, and her grandmother worked at camp. Her grandmother actually worked with our camp’s founders, Herman and Harry Popkin, in Atlanta too. Our resident “purist,” Jillian loves Blue Star and the camp traditions (her favorite is Zimriah) that make it a magical experience and summer home for our campers and staff. Stacey August – Director of Communications & Marketing, graduated from the University of North Carolina at Chapel Hill (Go Heels!) in 2011 with an Education degree. In college she started a math and science “day camp” for elementary and early middle school girls. Stacey taught high school math for four years prior to joining our year-round leadership team. She is currently completing her MBA at Georgia Tech. In her role at camp (we often call her “central command”) she provides support and guidance to camp families and helps parents with logistics. Stacey is there to answer questions and keep parents informed in the summer season and throughout the year. She orchestrates communicating important information to the summer leadership team, counselors, and other areas of camp. Stacey enjoys working on special camp projects (like our Campership program and Conservation Generation), meeting with families at Blue Star Get Togethers, and helping families to feel at ease and confident that Blue Star is taking the best care of their children while at camp. This is Stacey’s ninth year on our summer staff. She has been a member of our summer leadership team for five summers including a premier role as our first ever Special Events Director. Stacey loves to travel, and her favorite place to visit is Italy. She makes a mean eggplant pizza, loves practicing yoga and going for runs at camp. Marsha Silverman – Camp Registrar, has been on our year-round leadership team for 25 years, making her the veteran member and a foundational part of our leadership team. Prior to her many years of experience as our camp registrar and resident “favorite Jewish auntie,” she held multiple finance related positions in various business sectors both in the United States and abroad. She assists and supports camp families through the important decision-making and enrollment process. She is there to answers questions and guide camp parents through sign-ups for additional camp activities as well as setting up funds for out of camp trips and various other aspects of pre-camp preparation. Her goal is to make it even easier to help campers do what they enjoy at Blue Star by sharing the necessary information that allows parents to arrange the details of their camper’s personalized camp experience. In the summer Marsha works out of the business office and is known to offer little treats to staff members that swing by to visit. It is actually widely known as one of the perks of being a Unit Leader at Blue Star! She also assists at camper recruitment and retention events throughout the off-season. Marsha holds down the fort at our camp offices in North Carolina during the fall, winter and spring and gets to witness all of the seasons at our beautiful camp. Marsha’s great nephews are Blue Star campers. Courtney Tannenbaum – Transportation and Program Director & Parent Communications, graduated from Indiana University with a degree in Tourism, Hospitality and Event Management. Courtney grew up in Tampa and was a five-year camper at Blue Star. Her mom was a camper and staff member at Blue Star and her dad was also a staff member at camp. Courtney has been a Counselor, Unit Leader and Program Director during her time as a seasonal Blue Star staff member. As a valued part of our year-round team, Courtney takes the lead in providing travel guidance to our camp families, assists with parent communication and prepares for the endless, ongoing fun camp activities and programs we offer to campers in the summer! Courtney lives in Colorado and loves skiing and hiking. Her favorite Blue Star traditions are Color War and Maccabiah break outs! Anthony Albert – Accounts Manager, is our numbers guy! Anthony grew up in Fort Lauderdale and still resides in South Florida. He is a graduate of Florida Atlantic University and holds a degree in Business Administration. Anthony has had many roles as a seasonal staff member at Blue Star over the past decade… Counselor, Unit Leader, Basketball Specialist and Book Keeper to name a few! He is a licensed barber and has brought those talents to camp with him too! Anthony loves sports, reading and spicy, vegan food. His favorite aspect of the camp experience is being part of our Blue Star family and working together as a community alongside his fellow staff members to make the Blue Star Magic happen each summer. Louise Hardman – Equestrian Director, brings her extensive knowledge and equestrian background to our program at Blue Star. She spent five years as a Lead Instructor and Assistant Riding Director and has been our Equestrian Director since 2012. Building upon Blue Star’s fifty year tradition as an established riding program, Louise has continued to develop and strengthen the program based on equitation, good sportsmanship, responsibility and hard work. Louise brings to Blue Star over fifteen years of teaching and management experience in the equestrian field having managed equestrian programs and camps around the world! A native of England, she has a Bachelors in Science (with honors) in Psychology/Sociology and Anatomy/Physiology from Huddersfield University. Louise is very well-traveled and her favorite spot in the world is Bora Bora! Louise met her husband, Ben Prosser, at camp and they were married in 2017. Matt “Fish” Eisenman – Pioneer Boys Assistant Director, graduated with a BA in English and Theater from Emory University and also earned an MA in Literary Studies from Georgia State University. He is a Grade Level Dean, English Teacher, and Head Track and Field Coach at the Walker School in Marietta, Georgia. At camp he works with campers, counselors, and leadership staff to facilitate positive growth outcomes and a safe, fun experience for all members of our Blue Star community. Matt also assists in camper recruitment in Atlanta during the off-season. Matt was a ten year camper and has been on staff for fifteen summers. He earned his nickname, “Fish,” his first summer at camp as a Junior because he was a great swimmer and loved the water. He met, proposed to, and married his wife, Dana (Rookies, Juniors and Pioneer Girls Assistant Director), at camp. They were married in Blue Star’s Elmore Solomon Chapel. Their son, Reid, joins them at camp during the summers. 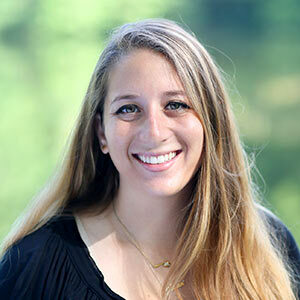 Dana Eisenman – Rookies, Juniors and Pioneer Girls Assistant Director, has a B.S. in Psychology from Trinity College and is completing a Masters in Counseling from Wake Forest University. Dana has worked as a middle school teacher, a middle and high school learning specialist and a child therapist. Her role at camp is to ensure the safety, health and happiness of the Rookies, Juniors and Pioneer Girl campers. She works with counselors, leadership team members and parents to ensure successful camp experiences for our campers. Dana also assists with camper recruitment in Atlanta during the off-season. Dana was a camper for eight summers and has been a staff member for thirteen. She met her husband, Matt (“Fish”), at Blue Star. They got engaged at camp and were married in the Elmore Solomon Chapel. She is a second generation Blue Star camper, and her son, Reid, who will join Mom and Dad at Blue Star this summer, will be a third generation camper when the time comes for him to officially start camp as a Junior. Guiding campers to make friends, take on new adventures, and develop their confidence and skills is the mission of the Blue Star staff. All Blue Star staff members understand the importance of the role they play in their camper’s lives, and they approach their jobs responsibly and with caring hearts. Activity specialists share expertise in their skill areas and create progressive curriculums that help to make electives challenging and fun. Camp leaders and counselors guide campers throughout their summers, encouraging them to build relationships and self-esteem. Their commitment to and love for children supply the energy needed to make the “summer magic” happen. We provide children with two of the most essential developmental assets: roots and wings. A strong sense of identity, coupled with the confidence to be open to new experiences, is a winning combination for developing healthy, secure young people.